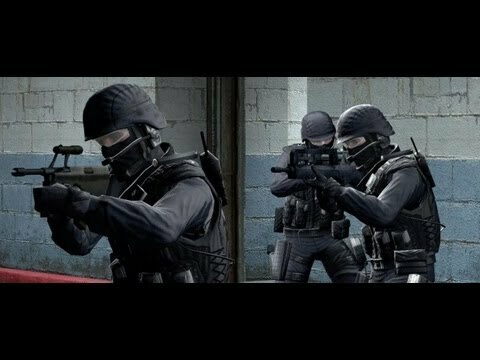 PlayStation 3 owners will be able to use a keyboard and mouse to play download only online shooter Counter-Strike: Global Offensive. Xbox 360 owners will only be able to use a gamepad, Kotaku reports from PAX Prime. PS3 owners also have the option of using PS Move, and, of course, the DualShock 3 controller. Cross-platform play between PC/Mac and PlayStation 3, ala Portal 2, is also confirmed. Valve boss Gabe Newell told Eurogamer at Gamescom last week that he would love for the Xbox 360 version of CS: GO to include Steamworks, but faces a tough job convincing Microsoft to let it happen. The game includes five maps for Bomb/Defuse mode and two for Hostage Rescue. All the maps are based on those from Counter-Strike 1.6 and CS: Source. Valve will host its own servers for all versions of the game, although gamers can host their own. Only on Valve's servers will players be matchmade based on skill. The beta begins in October. The first trailer is below. CS: GO will be playable at Eurogamer Expo next month. if i wanted to do that id just get it for pc. i dont need any more peripherals on my table. good for those who absolutely need a keyboard i guess. personally i dont feel like whipping out a mouse/keyboard every time i need to play a game.